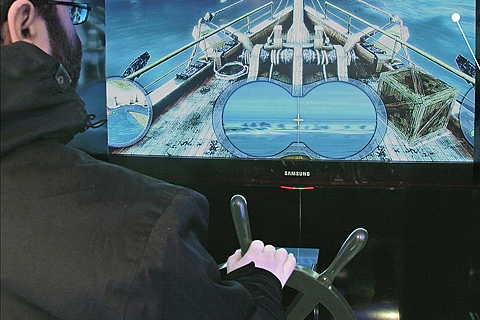 Port is a stationary game console built for exposition at the Lithuanian Sea Museum. We made this project upon ELN and Studio 4D request. 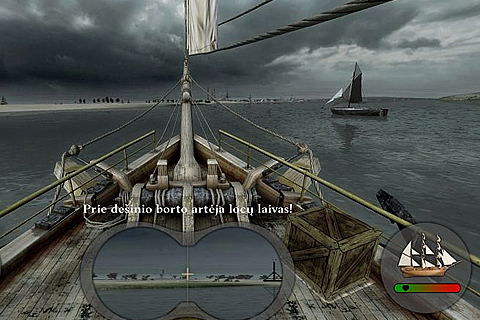 Visitors of the museum can control real built helm and steer the ship into XIXth century Klaip�da port. You�ll be guided by that period navigational system: follow floating barrels, correctly align poles sticking out the water and of course all knowing captains voice will be helping. All images are under copyright of ELN .